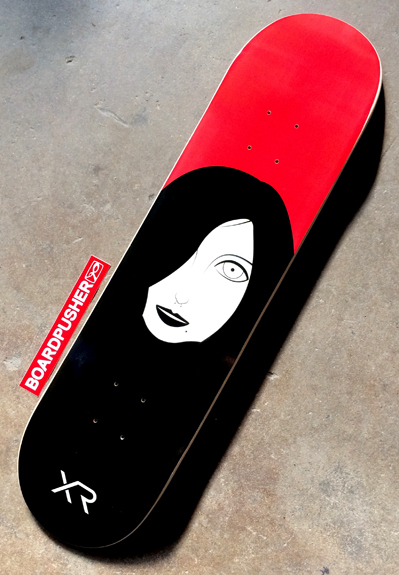 A recent graduate with a bachelors in graphic design, Xavier Rios used one of his illustrations to create today’s BoardPusher.com Featured Deck. “I was always fascinated with female illustrations, so I wanted to do my take on combining my favorite things, skateboarding, illustrations, and females.” We hope they all like you back. You can view Xavier’s portfolio at xavierrios.com or follow him and his twin brother on Instagram @xavier_and_isaac. Make your favorite things a custom skateboard graphic at BoardPusher.com.